Here is a dragonfly made with 100% recycled material. Her wingspan is about 10″, and height including the base is about the same. 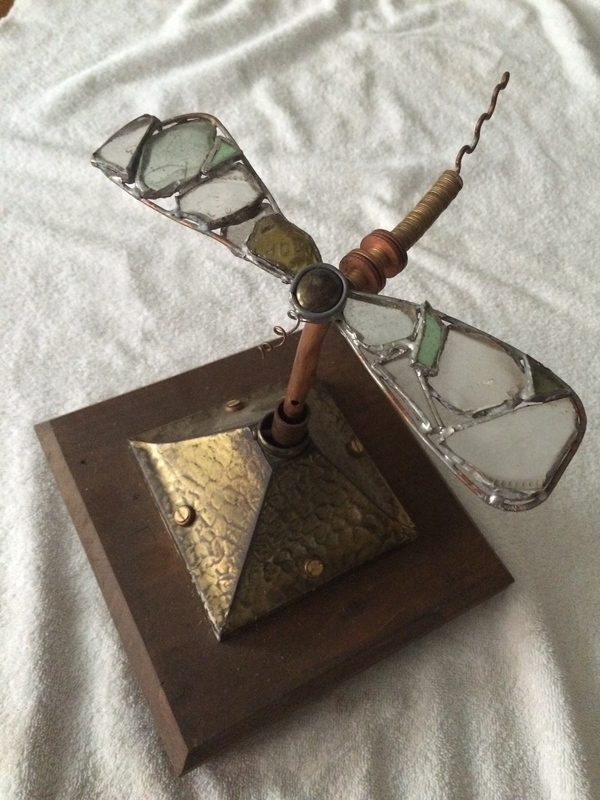 It is made from street glass, copper wire ( a piece of 12-2), some reclaimed copper, and a piece of used 2×8. The top part of the base is a ceiling light canopy from about 1930.The glass is held together with copper foil, which breaks down in winter weather, so I move this guy inside when it starts to get cold.